Does ice cream really cool you down? But don’t reach for your ice cream scoop just yet. About 15 to 20 minutes after you eat it, ice cream has the opposite effect. 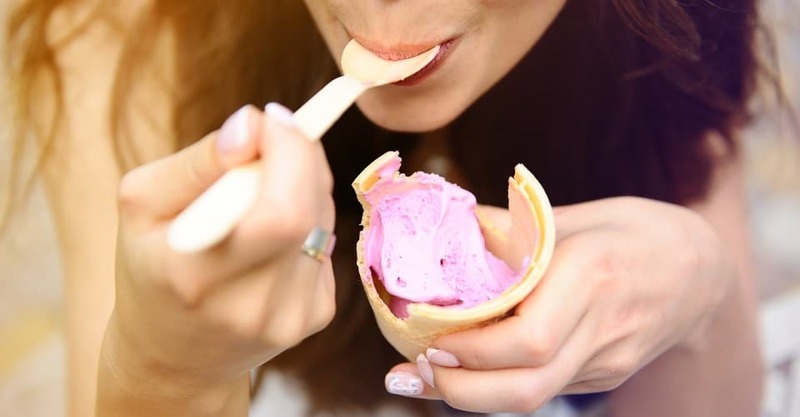 “This is because the parts of the body that are in contact with the ice cream are physically cooled by the contact as #heat is transferred to the ice cream. However, as the digestive process kicks in, body temperature increases as the body works to digest and absorb the nutrients in the ice cream, as well as to store the calories,” says Josephine Connolly-Schoonen, Ph.D., R.D., a professor of family medicine, Stony Brook University Medical Center. “The body will physiologically respond to energy (i.e., heat) loss by increasing blood flow to the ‘cool’ region and bring the temperature back up to a physiological ‘body temperature,’” (98.6 degrees), adds Barry G. Swanson, a professor and co-chair of Food Science and Human Nutrition at Washington State University. So, #eating cold foods does not really change your body temperature. How about an ice-cold beer to battle that summer heat? Hmm… Despite the ice-cold container, beer may not be the best choice to keep you cool. 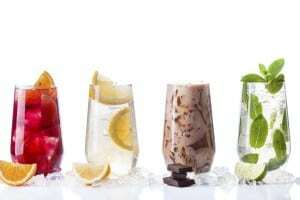 Alcohol creates dehydration. “It does this by inhibiting the release of the hormone vasopressin. Vasopressin (also known as antidiuretic hormone) is responsible for the reabsorption of water from the kidney tubules. Inhibition of the release of this hormone results in less water ‘reabsorption’ from the kidneys and hence more urine production, leading to dehydration,” says Stephen J. Pintauro, a food scientist at the University of Vermont. “Additionally, alcohol requires energy to metabolize, and during the metabolism of alcohol, water is used,” says Swanson, which further adds to the issues of dehydration. And how does dehyrdation heat you up? “No swimming right after you eat.” Was your mom right? She was partially right. “After you eat, your body sends extra blood to the stomach and intestines to help with digestion,” says Schoonen. In fact, according to Mullin, there is actually a “pooling of blood in the digestive tract after eating.” Therefore, there is less blood available to send to other body tissues like muscles, and, according to Mullin, this can result in cramping. Also, “The larger the meal, the more work your body needs to do afterwards to digest and process the nutrients. If you start swimming some serious laps after eating, the body would be stressed to send enough blood to both the digestive body parts and the working muscles, which also need more blood brought to them while exercising,” Schoonen explains. This stress may affect the heart and lungs, or may cause muscle pain, since enough oxygen cannot be carried to the working muscles. However, “Having a light meal and then taking a relaxing swim is not a problem,” adds Schoonen. So, eat light and chill out. Does eating spicy foods cool you off? Is that logical? Spicy foods cool you down? Well, spicy foods are more common in tropical countries — you know — where it’s very hot. “One reason for this might be the phenomenon called “gustatory facial sweating,” which is common after eating hot peppers, according to Luke LaBorde, Ph.D., a professor of food science at Penn State University.